IRONMAN has just announced that Cambridge, Maryland, will be the location of the Mid-Atlantic’s first official IRONMAN triathlon! IRONMAN has only 12 locations nationwide for its races, and now we’re one of them! 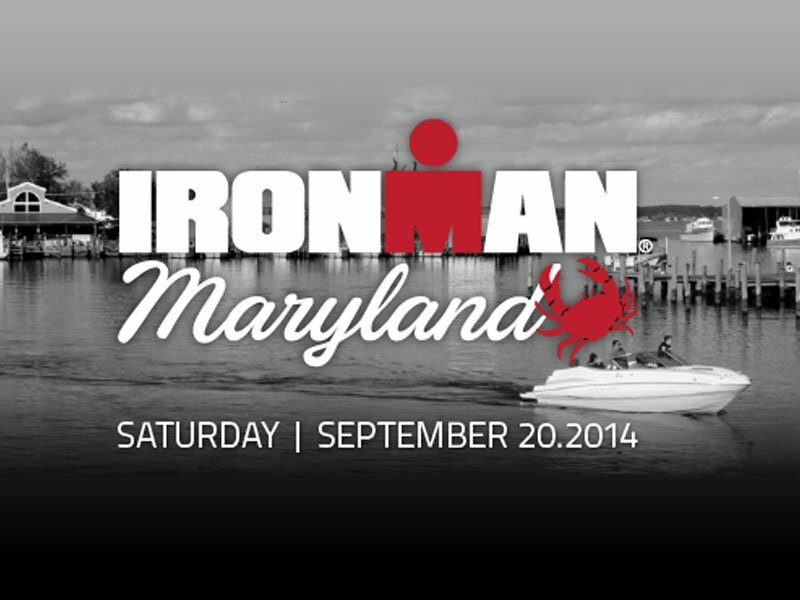 The first IRONMAN Maryland triathlon is set for Sept. 20, 2014. Whew-hoo! “IRONMAN announced today that Cambridge, Maryland will become the twelfth U.S. location in the IRONMAN Series. The inaugural IRONMAN Maryland triathlon will take place on Saturday, September 20, 2014, becoming the first IRONMAN race in the Mid-Atlantic. General registration for the inaugural IRONMAN Maryland triathlon will open Thursday, April 17 at noon ET on www.ironman.com/maryland. The 2.4-mile swim will take place in the Choptank River on the Delmarva Peninsula. The 112-mile bike will take athletes through Dorchester County and into the Blackwater National Wildlife Refuge. The 26.2-mile run is flat on country roads providing a scenic and fast course. IRONMAN Maryland will offer 30 age group qualifying slots to the 2015 IRONMAN World Championship taking place on Oct. 10, 2015 in Kailua-Kona, Hawai`i. The announcement of IRONMAN Maryland is made in connection with IRONMAN’s proposed imminent acquisition of the ChesapeakeMan event from The Columbia Triathlon Association, Inc. (CTA). Concurrently, IRONMAN also anticipates acquiring and operating three additional CTA events that were previously licensed from IRONMAN: IRONMAN 70.3 Eagleman, the Iron Girl Rocky Gap Women’s Triathlon and the Iron Girl 13.1 & Family Fun 5K, which IRONMAN plans to call the Iron Girl Columbia Half Marathon and Family Fun 5K. Registration for Iron Girl Columbia Half Marathon and Family Fun 5K and Iron Girl Rocky Gap is open now at www.irongirl.com. IRONMAN 70.3 Eagleman is sold out for 2014. All entry fees previously paid will be honored. In addition, IRONMAN is pleased that The Ulman Cancer Fund for Young Adults (UCF) is in active discussions with CTA to acquire the rights to own and operate the Iron Girl Columbia Women’s Triathlon as well as the Columbia Triathlon. They expect to finalize their agreement next week and will re-open registration for those two races shortly thereafter. “We’re excited at the prospect of a strong community partner such as the Ulman Cancer Fund operating these two important community races,” said Steve Meckfessel, Managing Director of Global Race Operations for IRONMAN. The Ulman Cancer Fund for Young Adults creates a community of support for young adults who are fighting cancer — not only through events but also through patient navigation, scholarship programs, and a variety of other support and survivorship programs. UCF has been a long time partner and supporter of CTA and was the first national beneficiary of the Iron Girl event series. Further information can be found on their site at www.ulmancancerfund.org. It is anticipated that CTA’s Kidz Triathlon, scheduled for July 20, 2014, will be owned and operated by the MINI COW TRI CLUB. For more information about the race and to register visit www.minicowtriclub.com. Through the IRONMAN Foundation Community Fund, grants will be provided to support non-profit needs and initiatives within the local communities as part of the IRONMAN Maryland triathlon. In 2013, the IRONMAN Foundation donated more than $1.6 million to IRONMAN race communities.